…for two handsome guys – my dad and my husband! It does come in handy for me when their presents are garments that both men are almost exact in body type…and therefore size, too. 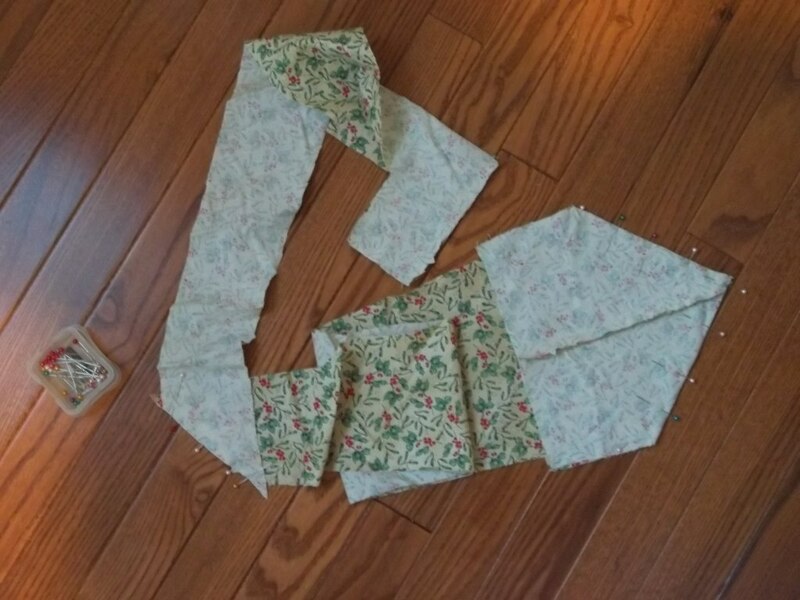 Thus when it came time to figure out gifts for them last year, I sewed up two shirts from the same vintage pattern, but choose two different fabrics and prints to accommodate for personal taste. There isn’t anything like a custom, personalized gift to make someone’s day, and I love doing that for people as special as both my dad and my hubby. Out of the wide and varied store of awesome knowledge that my father has in his head, he is amazing when it comes to World War II airplane history. He had previously raved to me about a co-worker of his that had such an impressive plane print shirt, so he himself gave me the idea. I set about to comb the internet and after an exhaustive, long drawn out search, I found the one perfect print that screams “Him” to me, and boy – I found it! 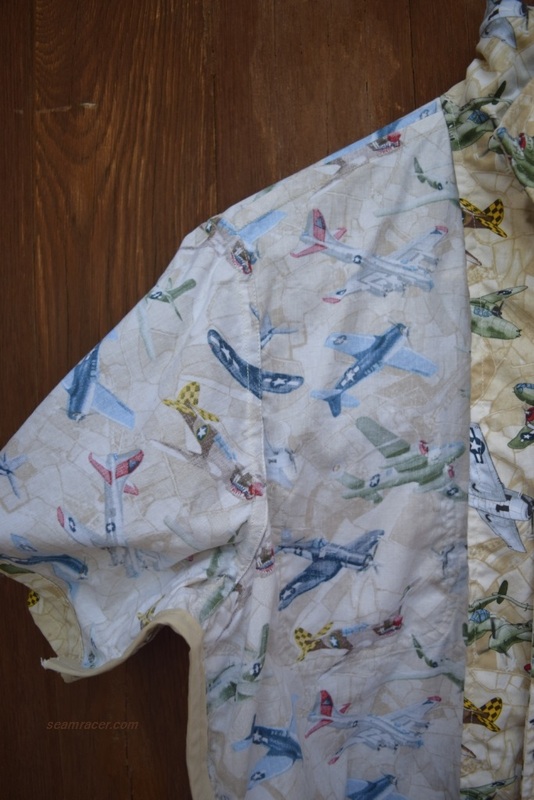 His shirt is a cotton print which combines his expertise in camouflage prints with his knowledge of WWII planes. The aerial view of the ground, in brown tones, looks like a camouflage when you focus on the planes, which are all-American, like us! 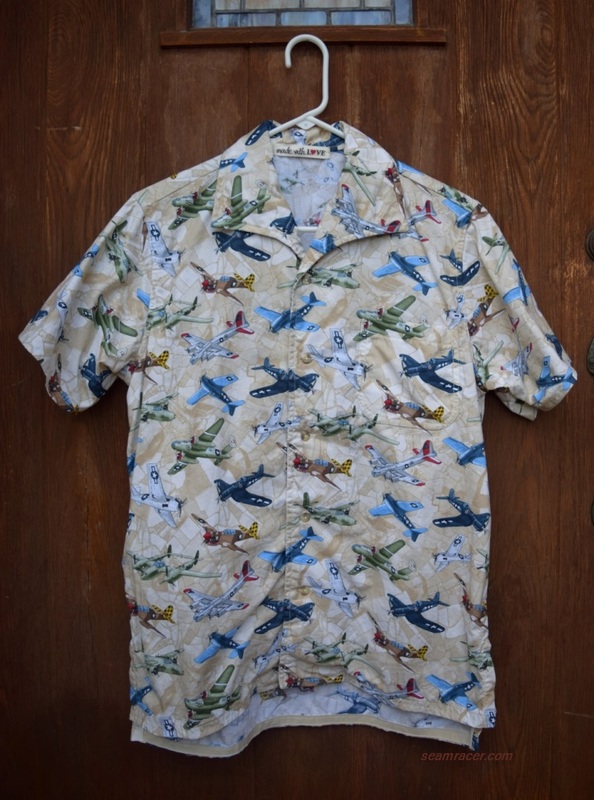 My dad (and I, too) love, love the mix of bomber and fighter planes so much so that we are frequently caught looking down at his shirt when he wears this! Distracted much? 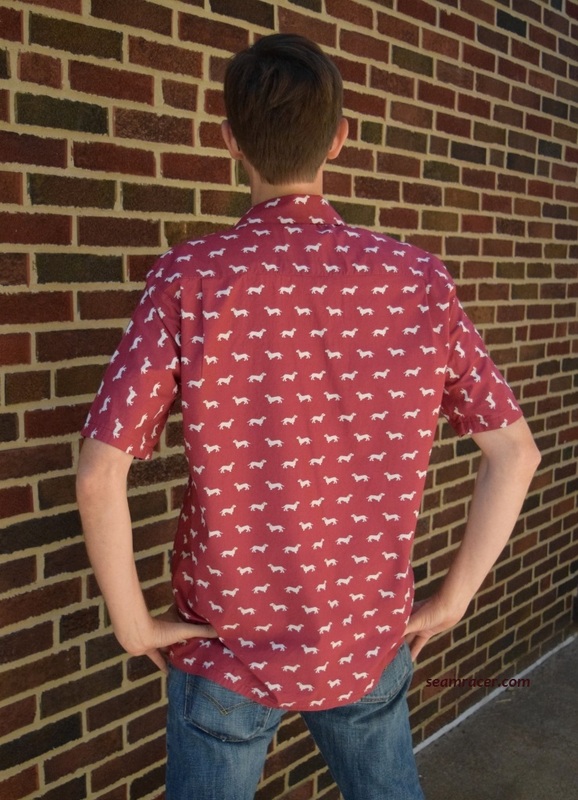 The basic, soft cotton of his shirt makes it very ‘everyday wearable’ for him, and the print can definitely a conversation piece for him – something he can all-around enjoy! I am completely tickled by the close matching down the front of the shirt where it buttons. Whether you believe me or not, the matching was a lucky surprise. You see, I figured I wouldn’t be able to pull a full match off without blowing my brains, so I didn’t try, but it still happened anyway! I did meticulously match up the left chest pocket, so that it is nearly invisible. 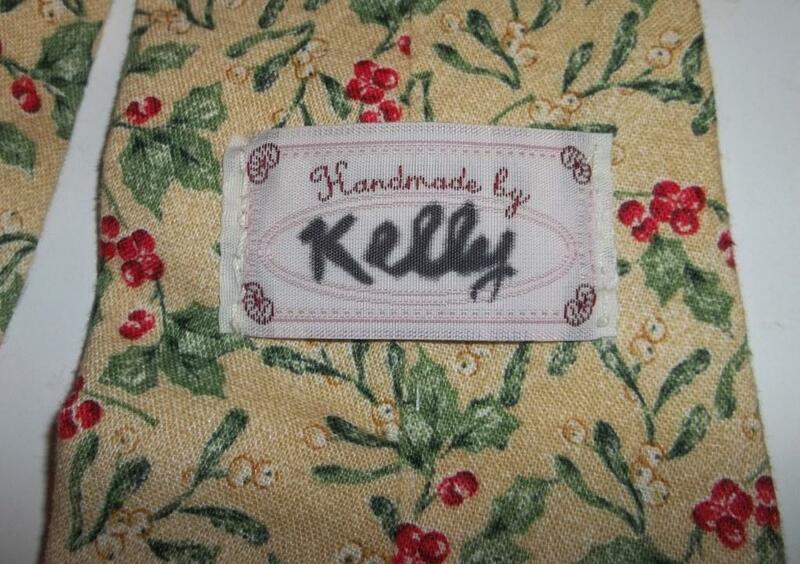 Finally, I added a cloth “made with love” label inside for a true gift message, too! My thought process and motivation behind making hubby’s shirt was different than my dad’s, but similar in the whole “gift” idea. You see, ever since my first few dresses inspired by the Marvel television series Agent Carter, he started bugging me with hints about something for him inspired by the same show. 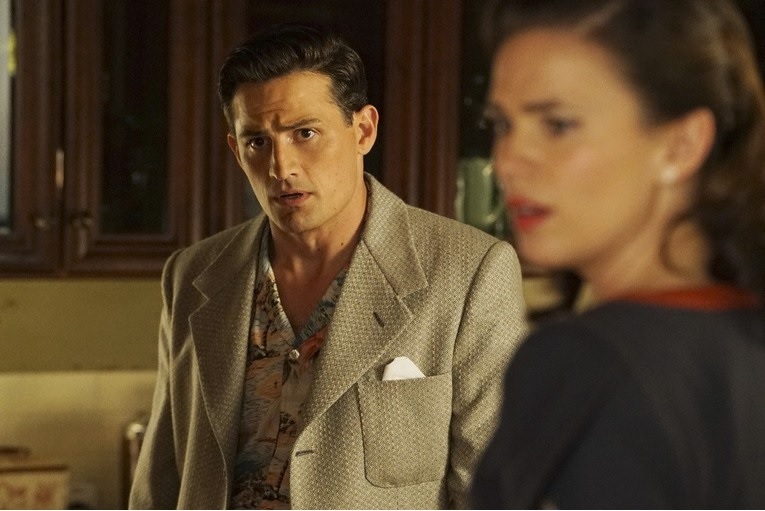 He’d remind me that if I’m going to be Peggy Carter, there should be an Agent Sousa (her romantic interest), and who better for role that than him?! Well, yes, (I’d roll my eyes and sigh), I suppose. 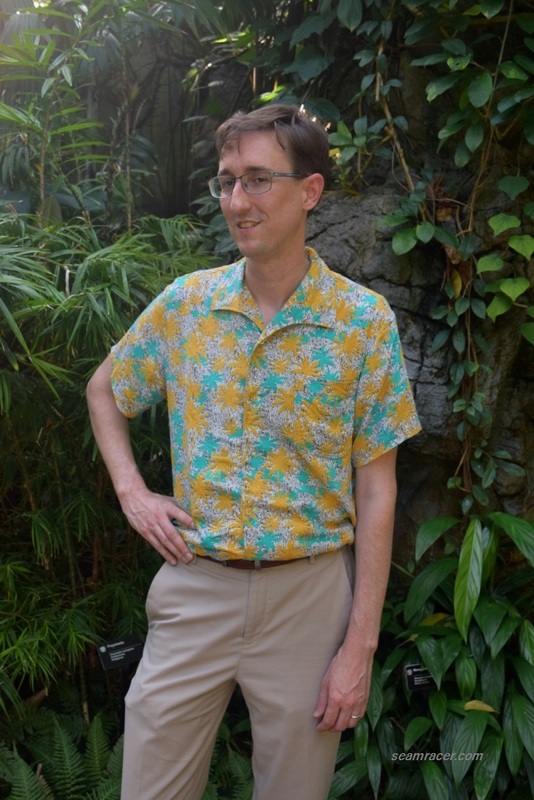 Being set in California post WWII, Agent Sousa often wore Hawaiian print casual shirts, and as that was something my hubby certainly did not possess, the ‘vacation-time to relax’ vibe of a tropical shirt is what I wanted to channel. I wanted to not just give him a new shirt, in a new style and print, but also lend the shirt itself a relaxed ‘feel’. 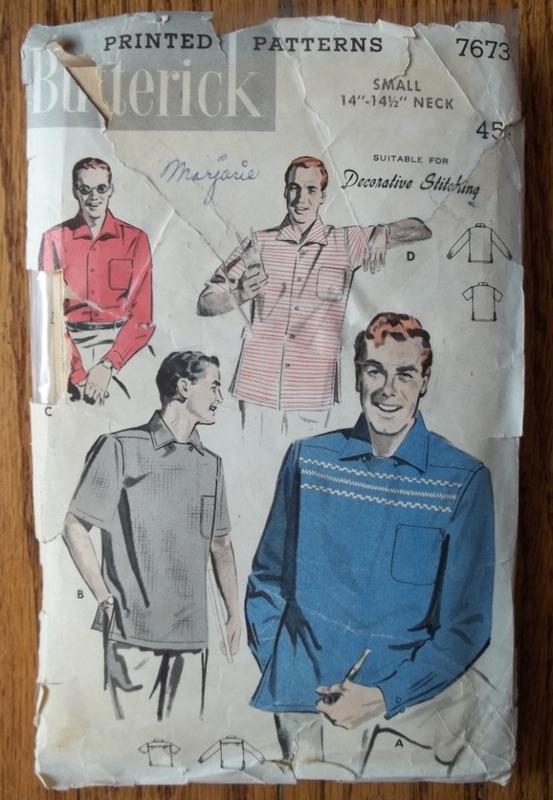 I did all of that by choosing a new-to-him fabric to enjoy which would dress up his casual shirt – rayon challis, my own favorite! Now, as this was to be his shirt, I let him be the one to pick out the print. I found a bunch available online and both he and I were undecided about two, so we bought both! He preferred a rich orange background tropical print rayon (bought from this shop), with Hawaiian and bird of paradise flowers spread out in a large scale. He also liked (but I preferred) a print closer to a shirt worn by Agent Sousa, one that seems more ‘California’ to me – the one you see in this post. I love the rough, tree bark effect of the background and two colors of palm tree silhouettes. He will still get the other Hawaiian print sewn into a shirt soon enough, but for now he is happy with the one that makes him more like Agent Sousa, and one that we both picked out! 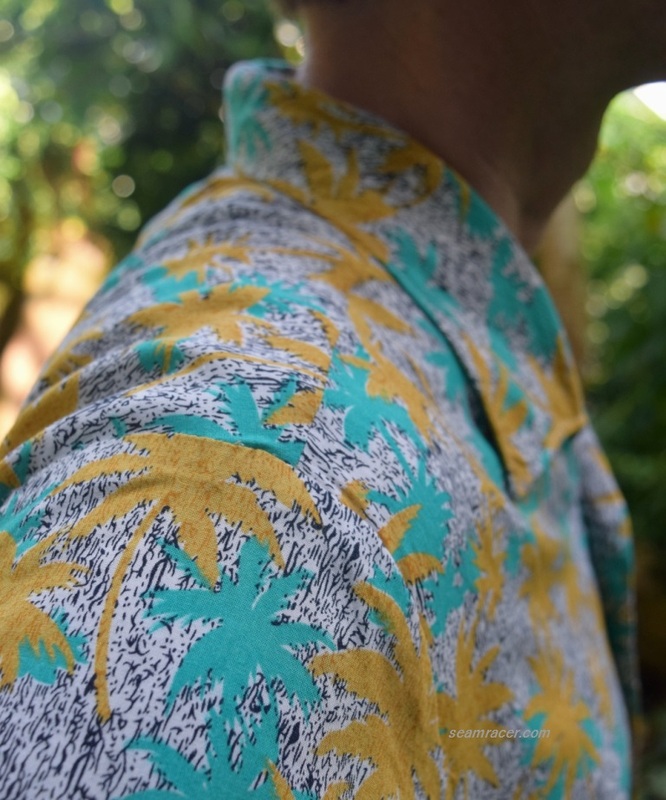 Besides, there was enough leftover of this tree bark-palm tree print rayon to actually made myself a sort of matching, summer, 50’s blouse, too. Granted we haven’t yet wore our tops in the same fabric at the same time…but it still is kind of cute to know I made a ‘his’ and a ‘hers’ version. 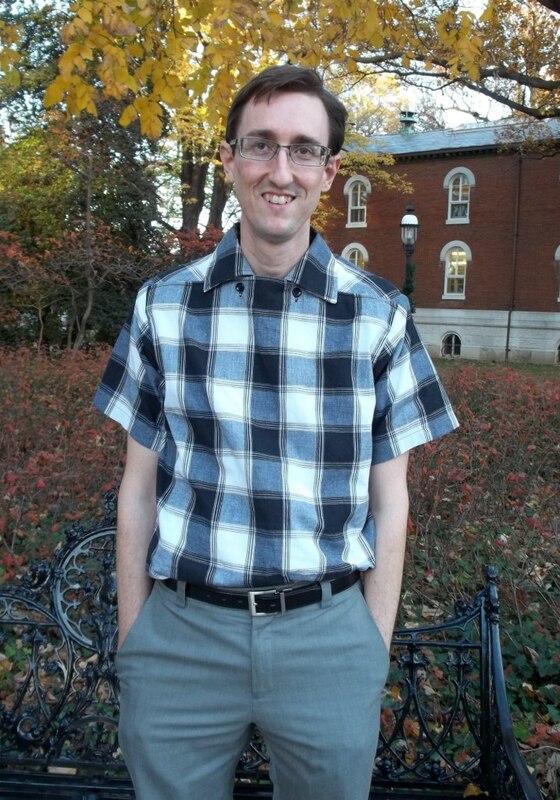 What I’d like to point out is that this men’s shirt design is also unusual in the way it has no shoulder placket. The back is one full piece, with no darts, tucks, or pleats of any kind, and it extends all the way up to the center top shoulder seam. How easy and simple can you get? 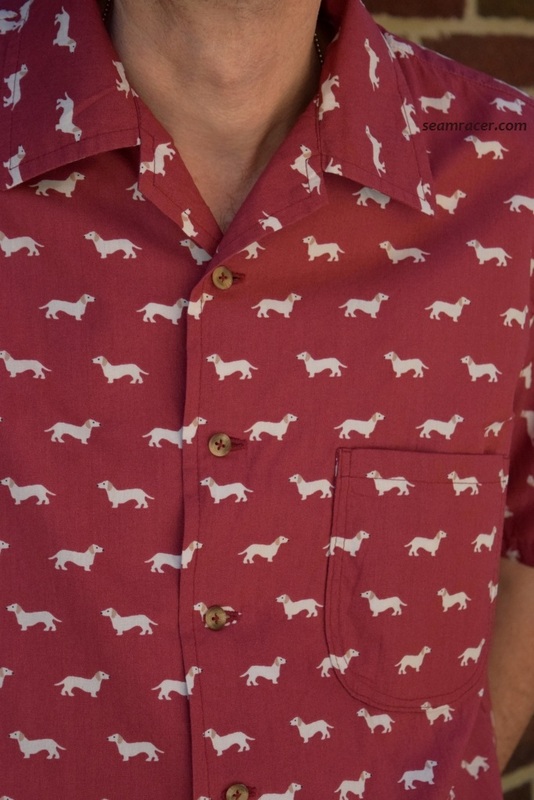 That’s what makes this design of shirt just perfect for novelty prints, in my opinion. Not that style lines are bad, but in this case they do not get in the way of the fabric prints and make complex matching one of the last things to concern yourself about. 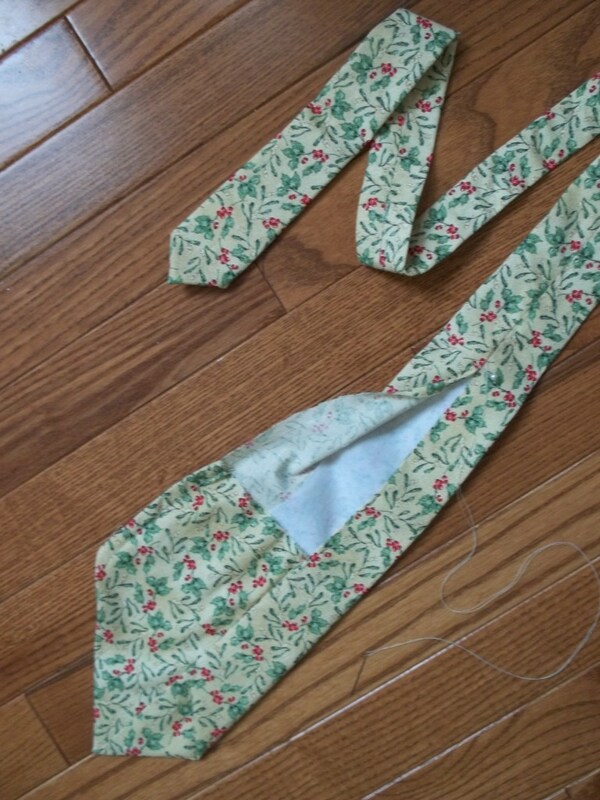 Between the back and the simple, faced, all-in-one “wing” collar, this is a very easy and quick pattern to sew. 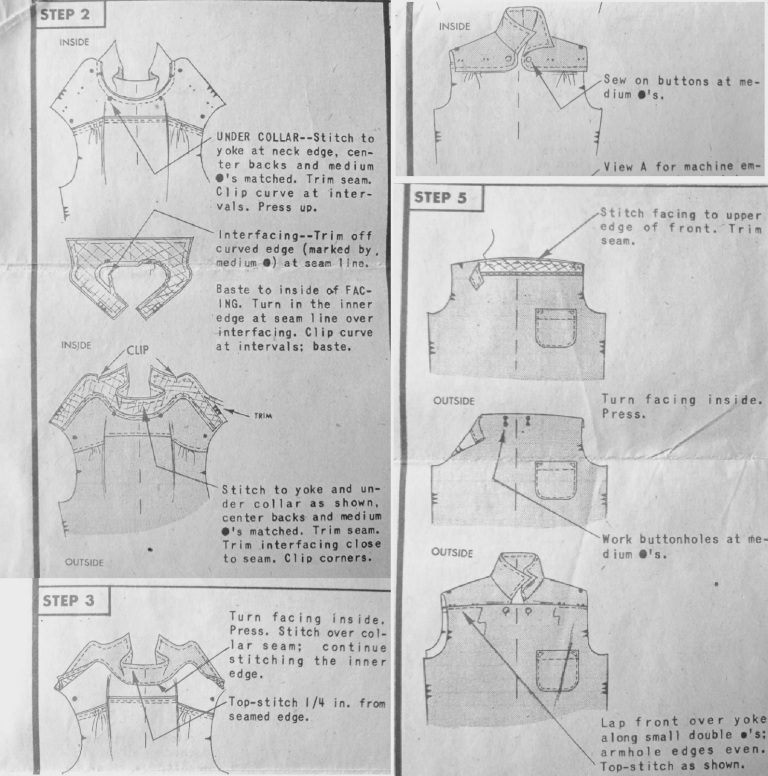 Both shirts were cut out the same, like an assembly line, except for two small tailoring points. My dad has smaller shoulders and is shorter in height than my husband, so the length I added to hubby’s shirt was taken out as well as the extra 5/8 to extend the shoulder width. Any other differences had to do with the material and how it needed to be treated. My dad’s shirt, being cotton, got flat-felled seams and a bias bound, shirt-waist style hem. Hubby’s shirt, being a slinky rayon, received French seams, and a tiny ¼ hem around the straight edge bottom. 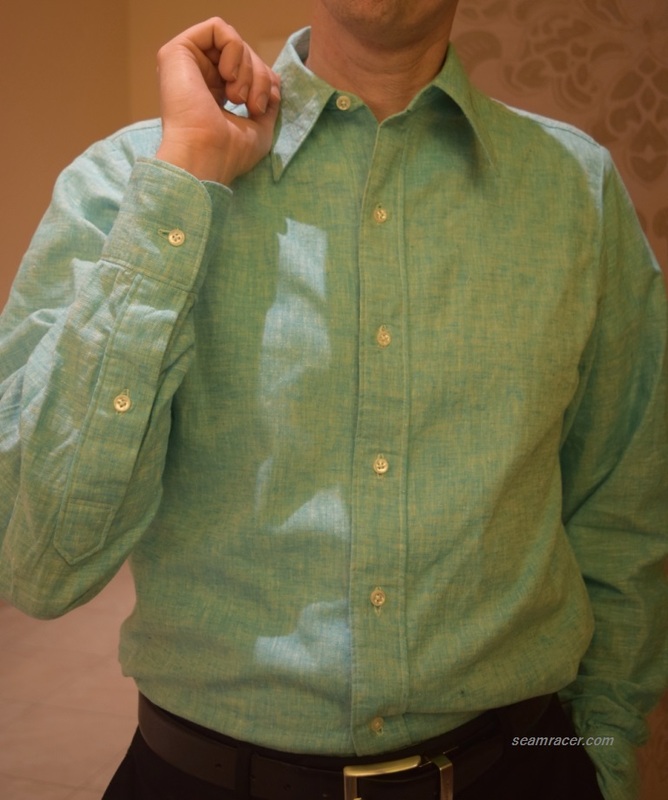 My dad’s shirt buttons match the background of his cotton print – they are basic and two-toned brown. My husband’s shirt buttons are rather nice, pearlescent basic shirt buttons for a slight, but not flashy, contrast. As suits a vintage shirt, all the buttons are vintage, or at least retro, from the stash of hubby’s Grandmother. I like how this post presents a good example of how the choice of fabric dramatically changes a design. (McCall’s Corporation just presented and example of this on Instagram.) It is the same for all patterns – the choice of texture, color, and ‘hand’ of a material all makes important variations. Sometimes these variations can be a surprise or planned depending on whether or not you are working with a fabric that is new to you or one that is akin to a well-known friend. 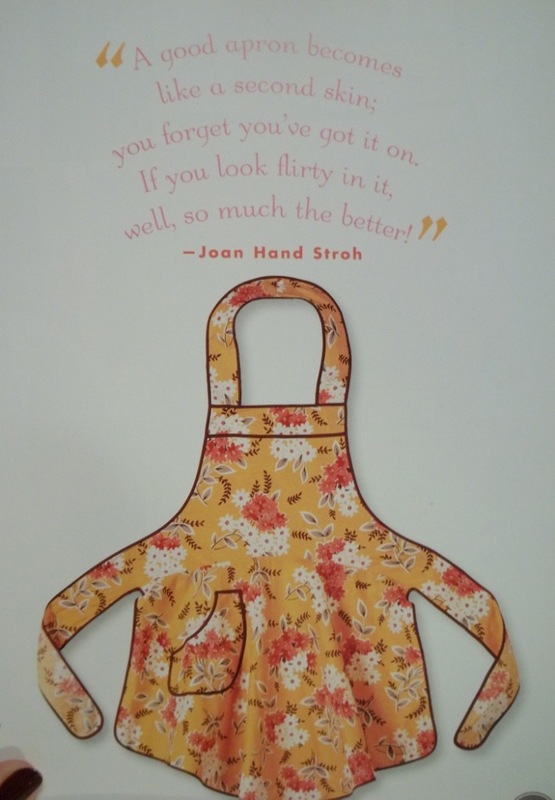 Either way, sewing offers endless opportunities for creative fun and expression starting at the fabric level! 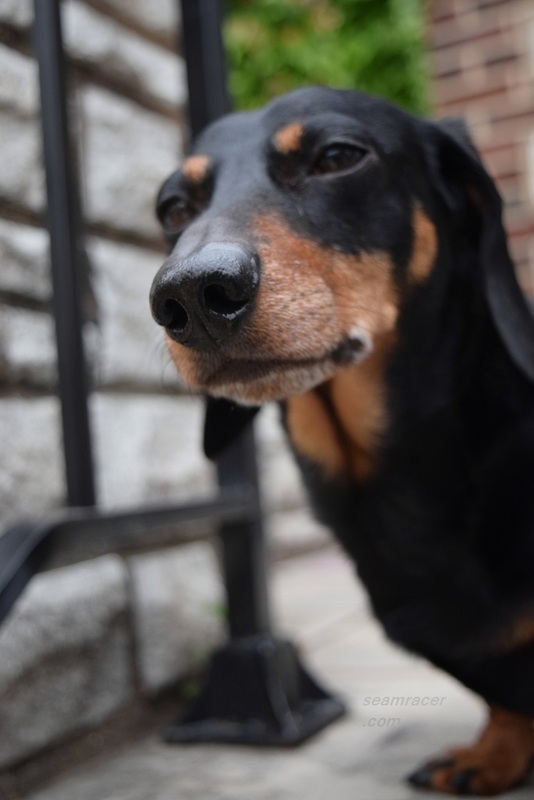 Men, at least the one’s I know, are so hard to be models! My husband is not comfortable being pointed at by a camera, but he did his best for me here for this post and accommodates his seamstress like a good man. I didn’t even bother to ask my dad because I know him and didn’t even want to try and convince him, too. Believe me, though – my dad’s shirt stands perky (keeps its own shape) and is awesome against his darker skin tone, suiting him well. One model is enough, because anyway…these shirts look even better in person. 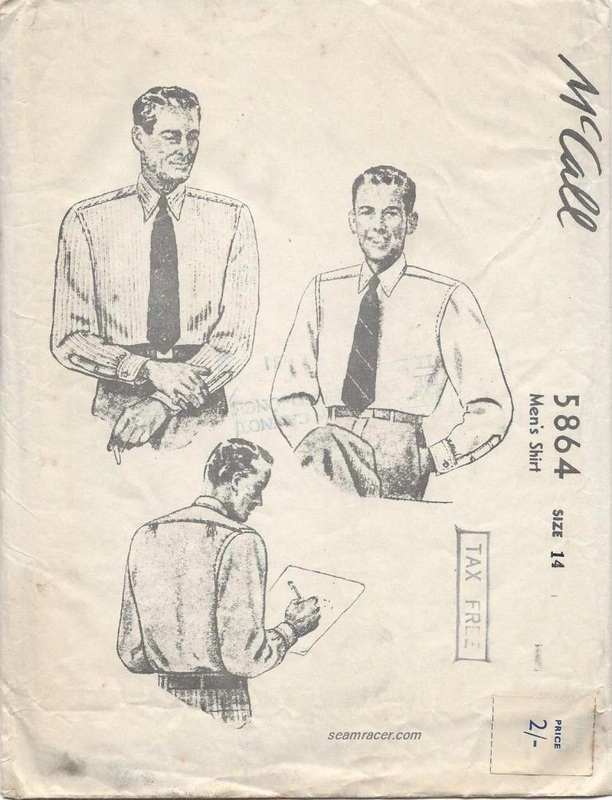 This men’s vintage pattern NEEDS to be reprinted (hint, hint McCall corporation). If I knew how to make this happen, I would. Out of all the patterns I’ve come across, I am never more serious than about this one. 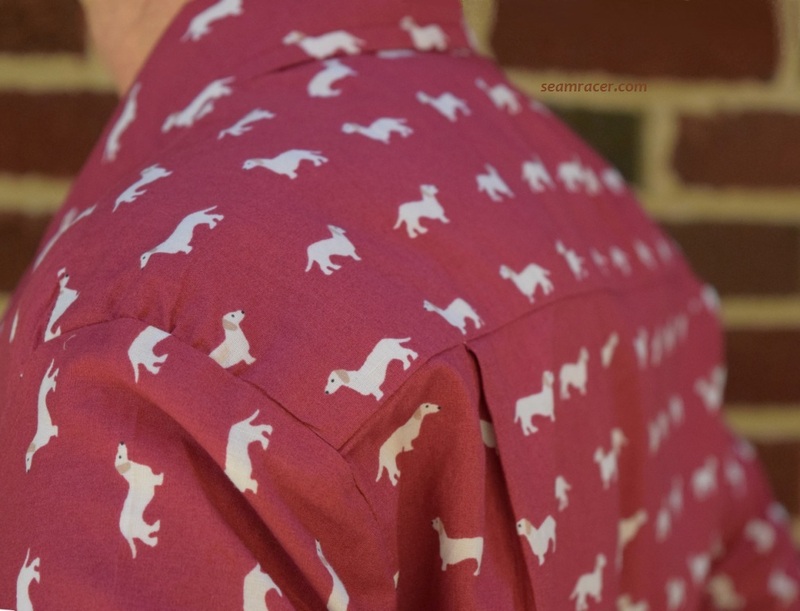 For those who sew, these shirts are fun to make because they are creative, incredibly easy, and a nice change from the traditional collars and plackets. 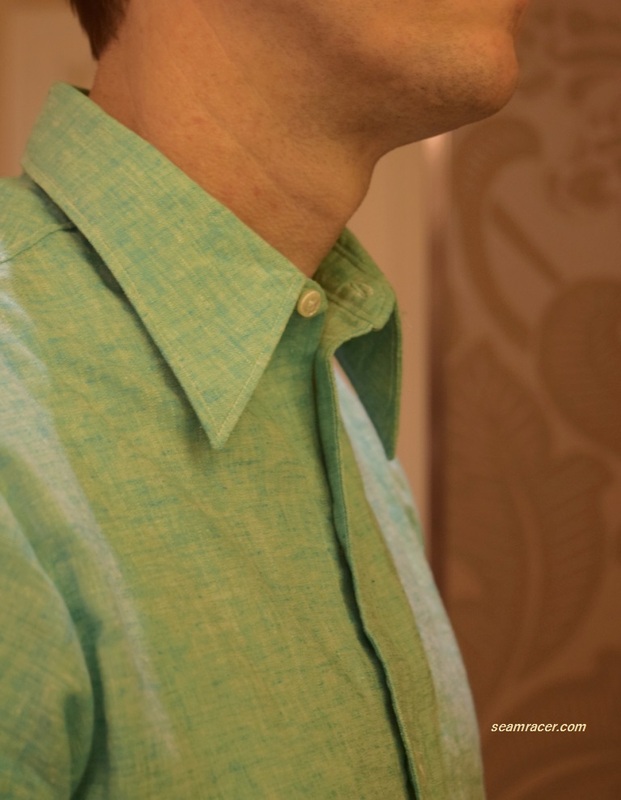 For the guys who would only be on the receiving end, this is the kind of shirt where you will feel special in it, and if you hang around one person for about 5 to 10 minutes length of time, you will get a curious, interested question about your collar. 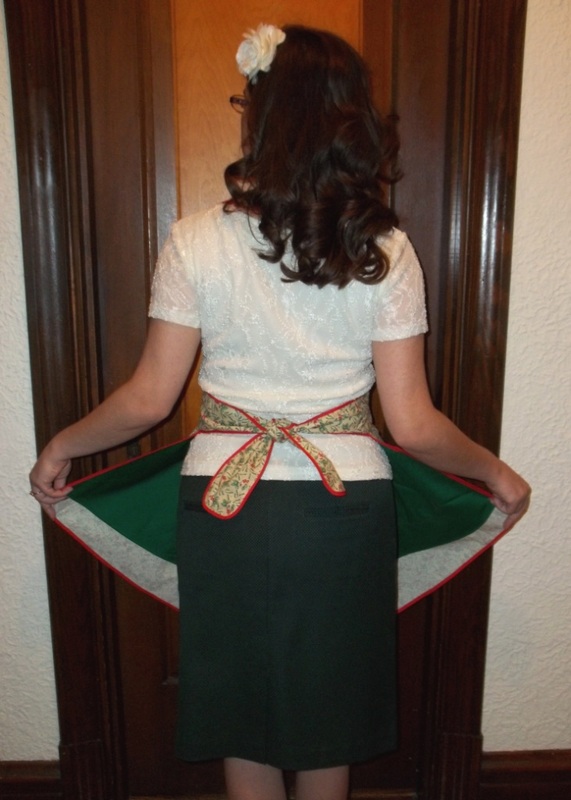 Then comes the time to do the seamstress a favor in return as part of your answer! It’s a win-win all around. NOTIONS: Nothing but thread, bias tape, interfacing, and buttons were needed, and I always have this stuff on hand! TIME TO COMPLETE: Each shirt took me only 4 hours to whip up, and both were finished up about August 23, 2016. THE INSIDES: French seams for the inside of the rayon shirt and a combo of flat felled and bias bound seams are inside the cotton one. TOTAL COST: The plane print cotton was bought off of Ebay and more than what I normally spend or even would like, but as it was for a present I felt it was worth it to get something so appropriate for someone. 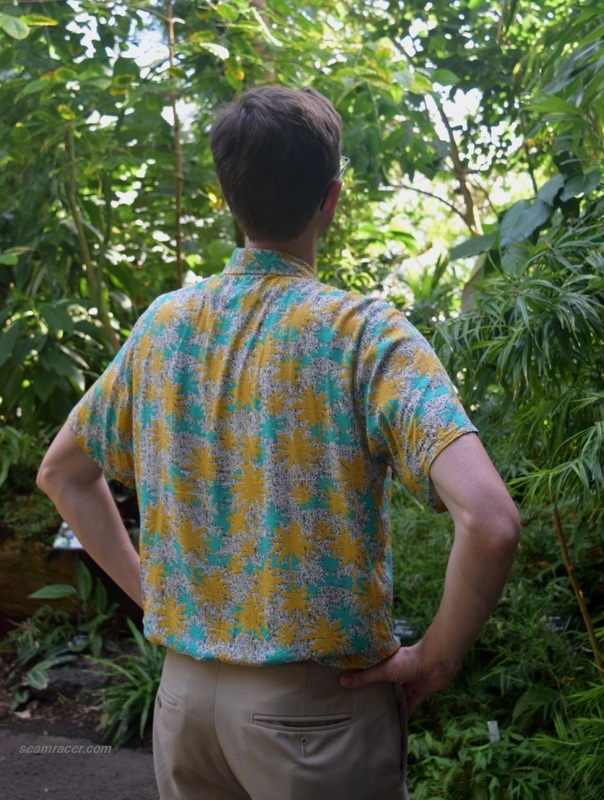 The two yards of rayon for the Hawaiian shirt came from “Simply Fabric of Oakland” (see it here, if you want to buy some, too) and is lovelier than the normal Jo Ann’s store rayon – very silky with a slight sheen. So pleased with my present purchases, I’m not really counting! Menswear can get pretty predictable after a while, and it’s hard for me to find “something new and different” for my hubby without being too avant-garde or “look-at-me”. So often, it’s the little details or subtle touches or even the fit that makes all the difference to menswear…so here is one shirt that stands on its own. 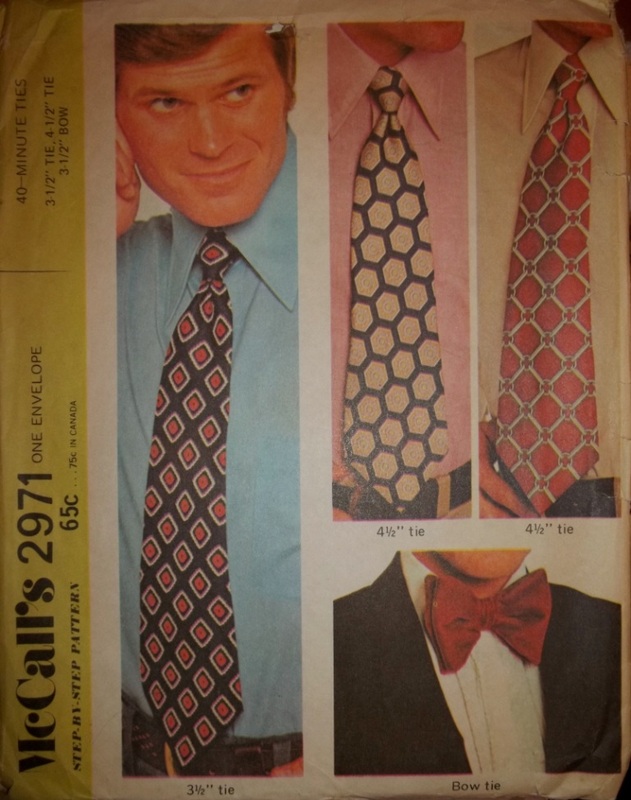 I’ve never seen anything like it, but leave it to a vintage pattern to offer something amazing! I think this shirt rides the delicate balance of being fresh, vintage yet timeless, comfy and classy, with a toned down unusual-ness. 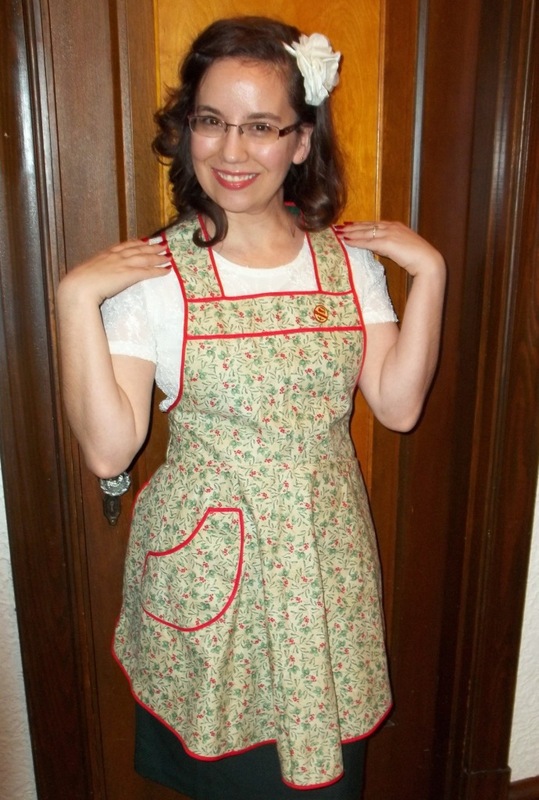 NOTIONS: I had the bias tape, thread, and interfacing used already on hand. 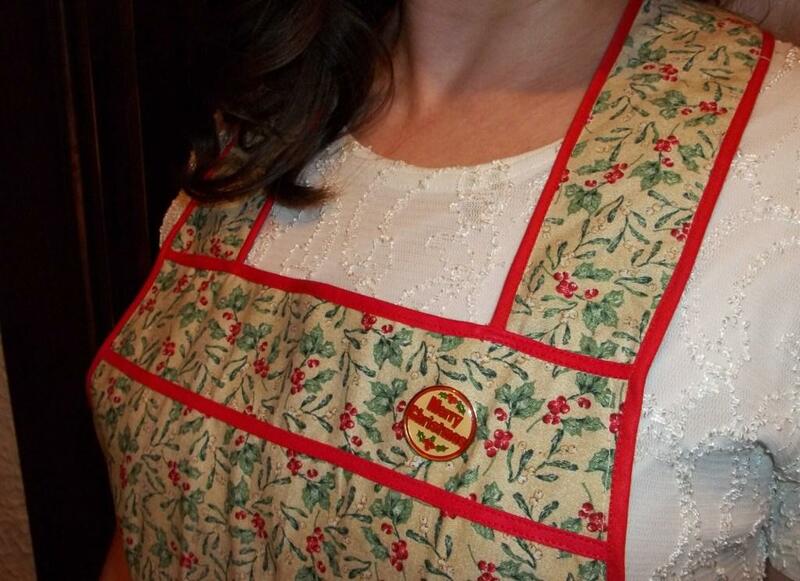 The two buttons at the neckline came from hubby’s Grandmother’s collection so they are most probably vintage. TIME TO COMPLETE: This is by far the easiest and quickest shirt I’ve made for him to date. It was made in about 5 hours and finished on September 24, 2015. THE INSIDES: All cleanly finished bias bound edges. TOTAL COST: The madras was bought for pittance when our favorite local fabric store was closing. For only 1 ¾ yard it cost maybe $3 or $4. Cheap, cheap! 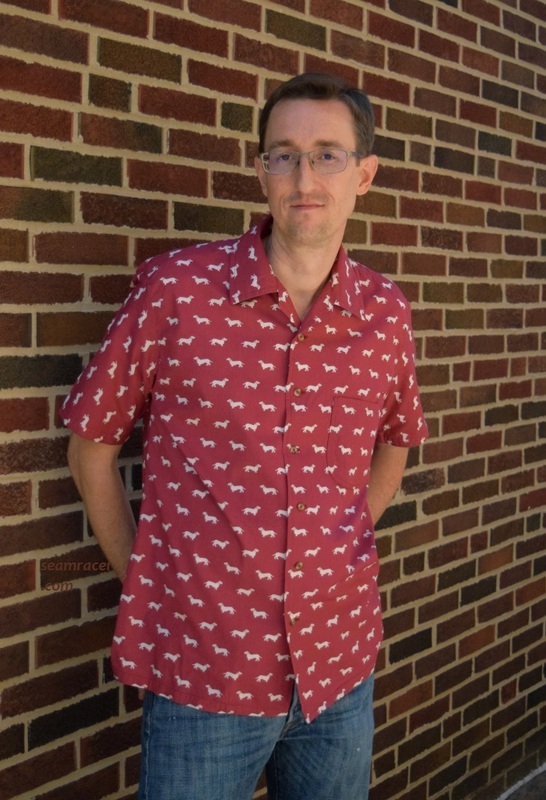 My hubby loves how comfy his shirt is in the weightless madras cotton. He also seems rather tickled at the shirt’s uniqueness. He does get thrown off just a little by the unusual way of closure but it is not hard in the least to slip on over the head. 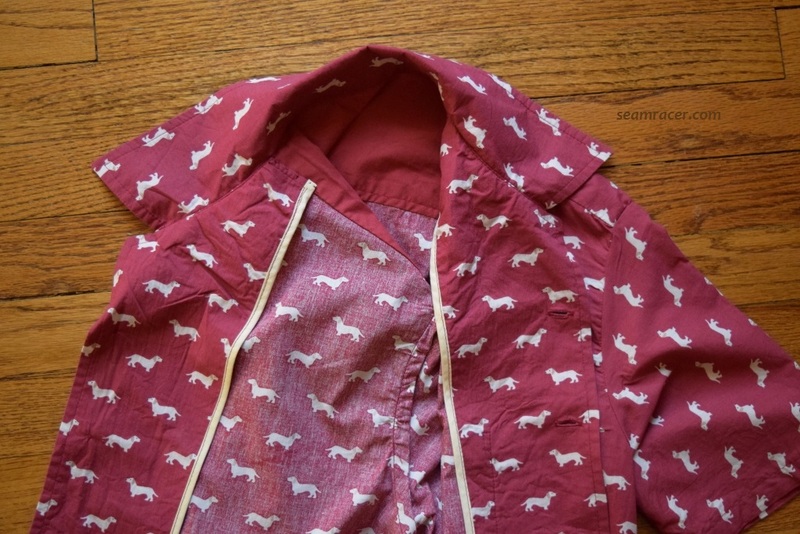 On my end, being the one that did the sewing, the biggest perk is that it is so easy and super quick to make (believe it or not), besides being incredibly fun to do something so out of the norm. 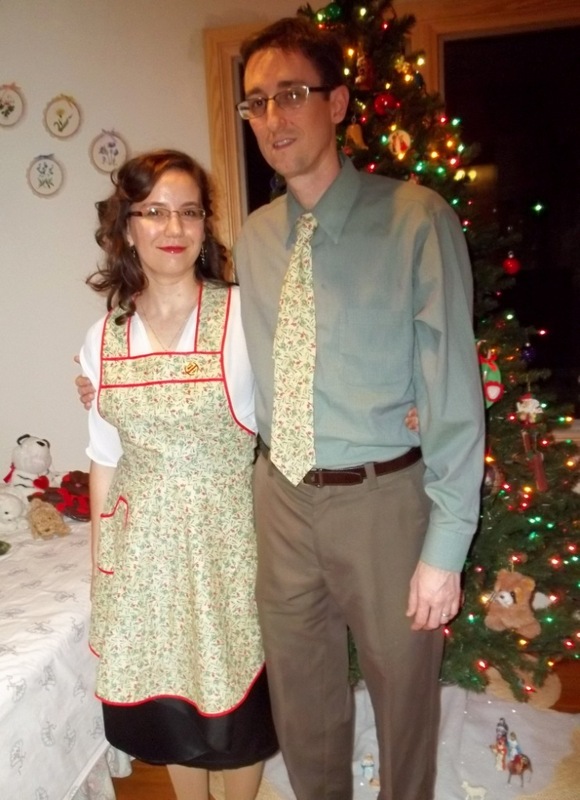 Plus, (lovey-dovey gushing alert) I also own a matching ladies version (Butterick #7771) so I can sew my own “odd collar” blouse to match my man! Awww! Look for my version coming soon to my blog. I would like to know if there is an official name or title for this style or type of collar. 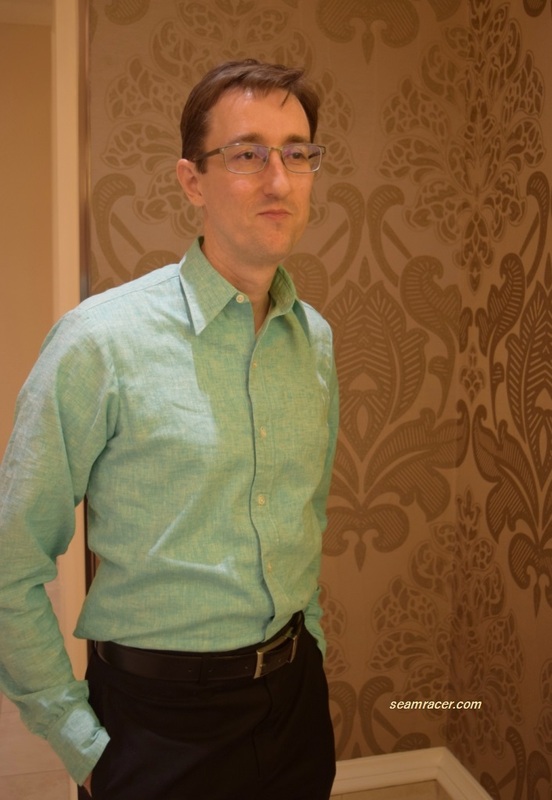 I think I remember seeing in an old catalog page or ad where this kind of shirt was called an “Italian-front” shirt. I have not yet re-found where I saw this so I feel badly that I am not justified for saying this. 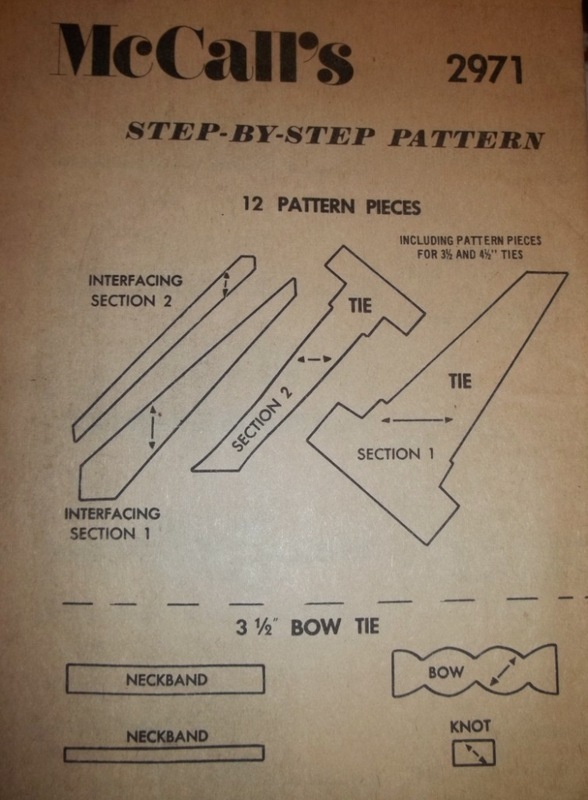 The envelope back identifies the other style of shirt in the pattern as a “wing collar” (unusual, too) but yet does not identify the other view that I made. For the ladies’ version, the envelope back summary calls it a “two button horizontal closing”, but there has to be a better name. 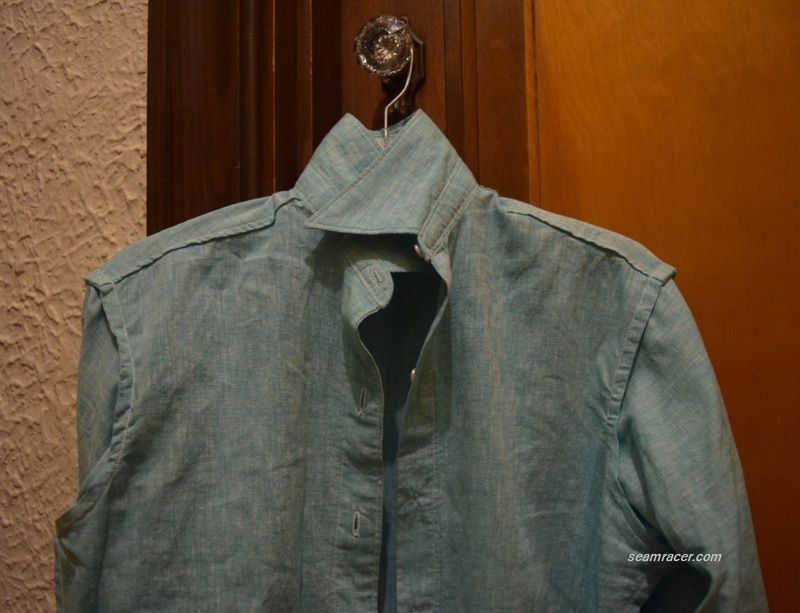 If anyone else can help me out as to what an “Italian-front” shirt is, or any designation or story or such for my hubby’s shirt please let me know. 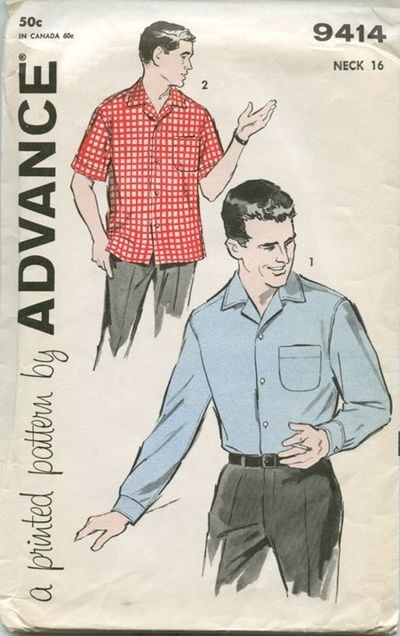 Peter at “Male Pattern Boldness” made a version of this same style shirt, only in long sleeves, from a different brand, and (surprisingly) in an earlier year, 1954. 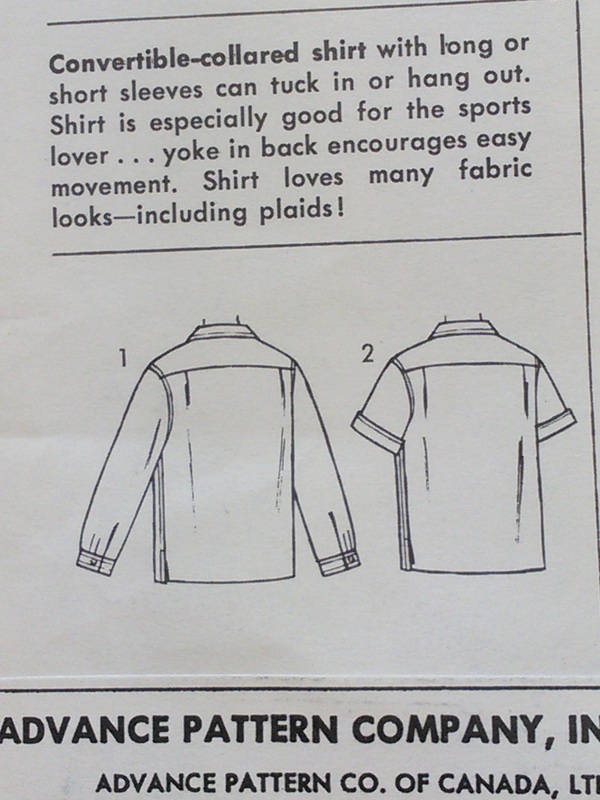 Now, as the ladies’ version of this style shirt is the latest dated version I’ve yet seen I can’t help but wonder – was it so popular for the men that the ladies demanded a version or was it planned by Butterick anyway? 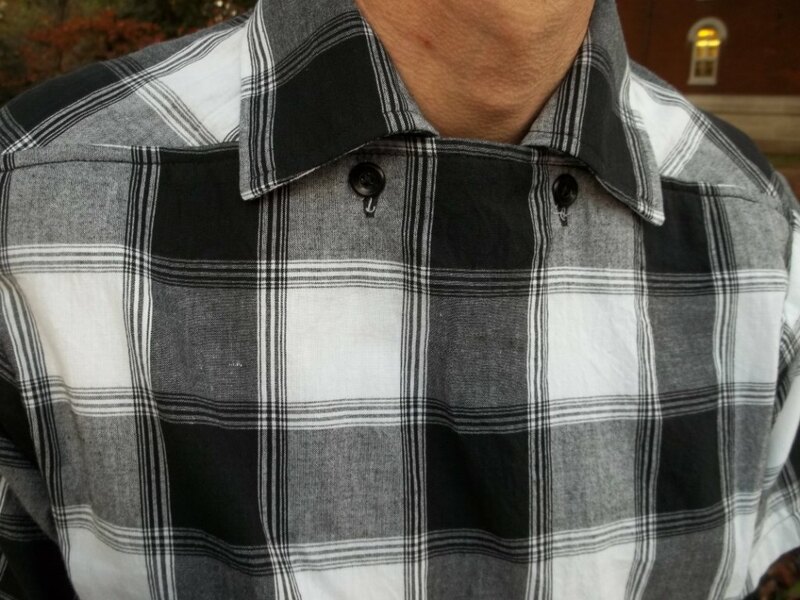 Back to my man’s shirt, I do love the option of decorative top-stitching across the front. 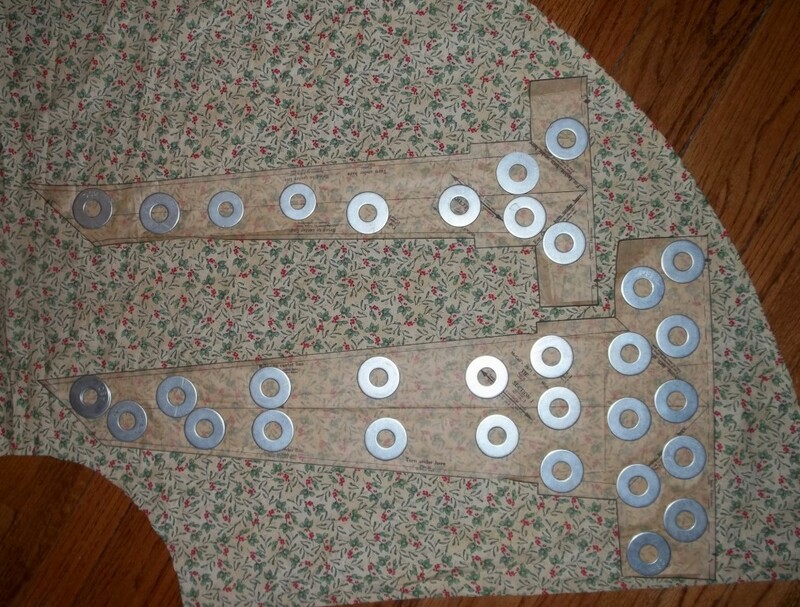 I’d like to try this on a solid version – after all, I do have a late 50’s sewing machine (kept in storage) with a dozen cams to make such fancy stitches. 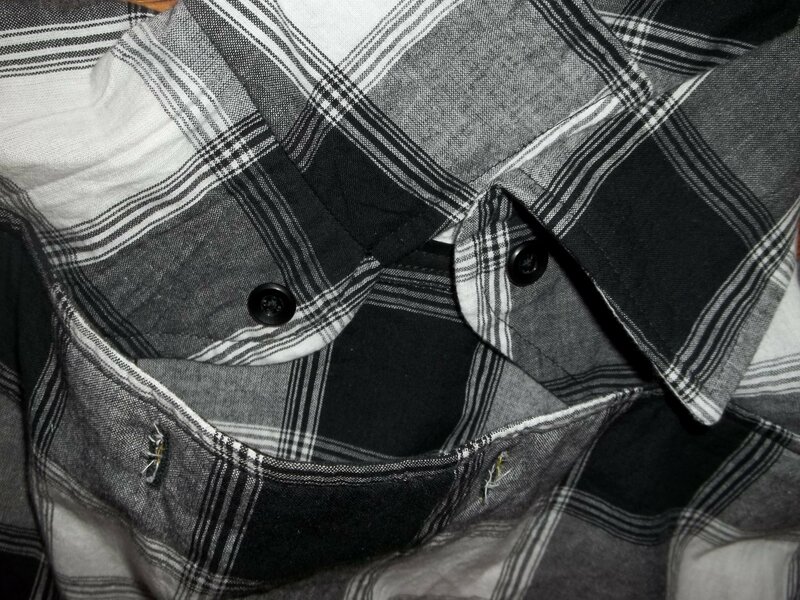 However, hubby had an immediate liking for the feel and the plaid of the black and white madras when he found it in the fabric store. 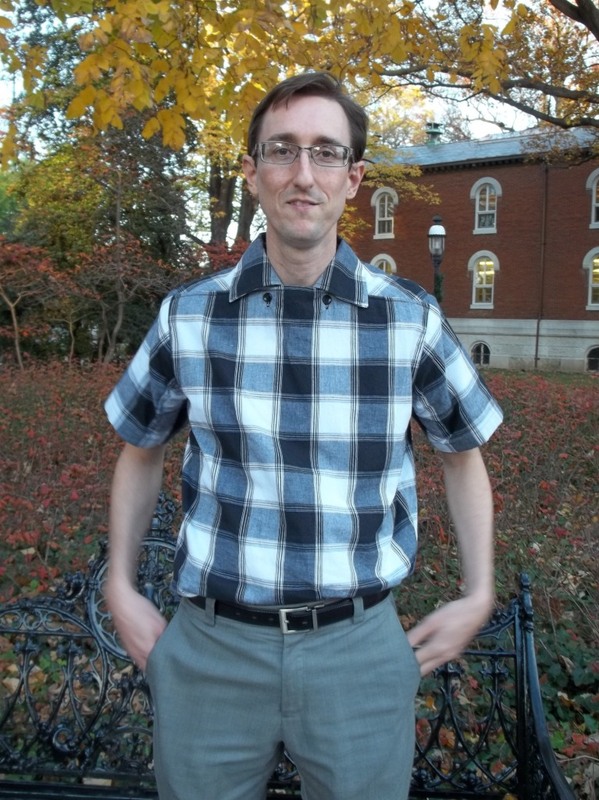 As is the unfortunate trend, the fabric he again picked for a shirt for himself was a seriously shortened length. Not even two yards! It was the last end of a bolt…barely enough for a shirt but just enough to make it a very challenging effort for me to finally make it work. 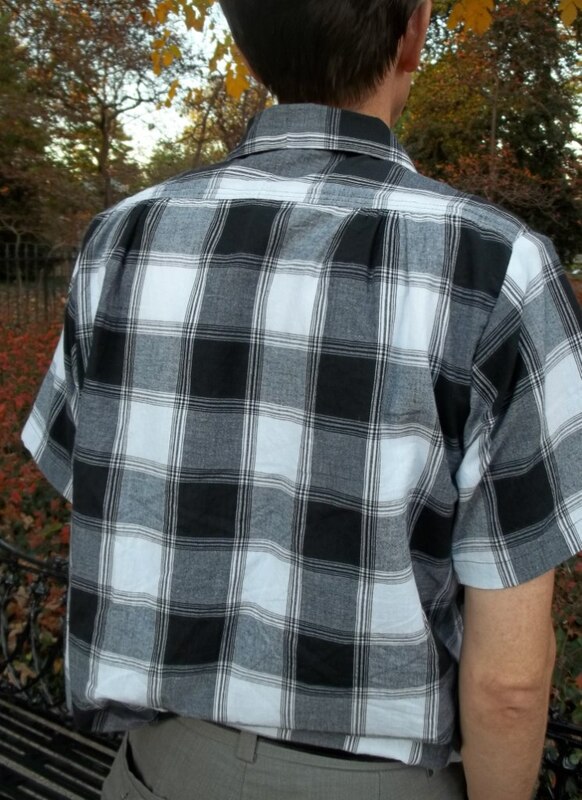 This is why there is an unplanned-for (but rather invisible) seam down the center back of the collar and the shoulder panel – I had to piece those parts together just to get a match of the plaid or even fit them on the fabric at all. I’m hoping yet that someday making a shirt for him will be easier with at least one having enough (or more) fabric to spare (…feel the doubt in my tone). 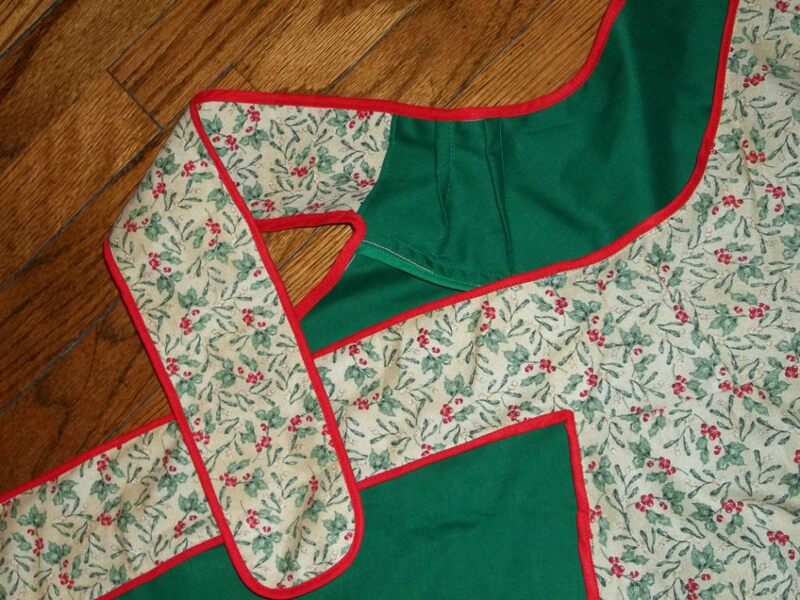 The continuous lapped sleeves are wonderful – so much easier than the set-in kind. I wish more women’s patterns had this but then again we ladies generally want slightly more defined shoulders. There are side slits that go up to the level of his pants pockets so the shirt doesn’t have to come up when he wants to use his pockets. The sleeve hems are shortened up by several inches because the original length is about down to his elbows and that made his shirt only look frumpy (so we thought). 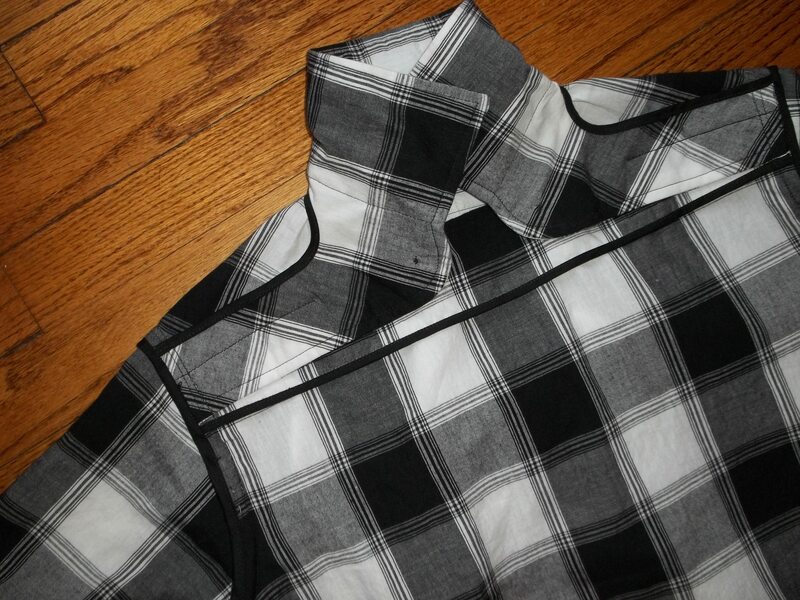 We also wanted simplicity to let the plaid shine so I left off the optional chest pocket…it would be too much like a dentist’s shirt at that point. 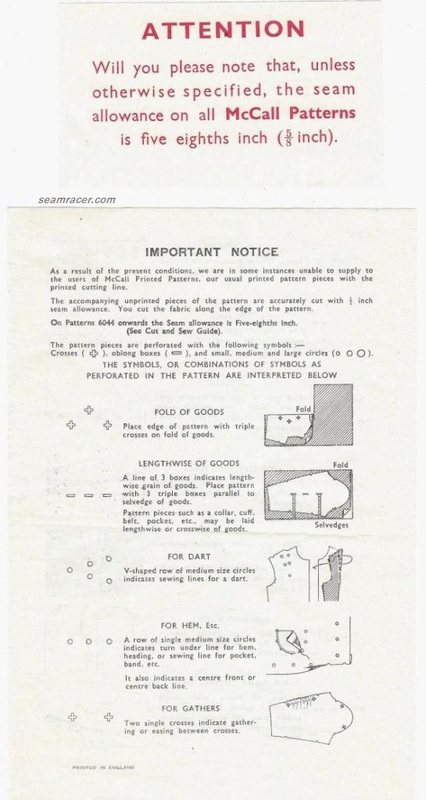 Besides the sleeve hems and the pocket, the rest of the pattern was 100% unchanged even for the fit as it was his size right out of the envelope. Hallelujah for easy! The hardest part was figuring out ahead of time how the collar goes together, but I just followed the directions and it came together with no problem. I’d like to congratulate the person who came up with this shirt’s design and its instructions. Who knew sportswear could be so sophisticated, yet effortless to make?! What is so funny is the way we like to see if others notice something different when he’s wearing his shirt. 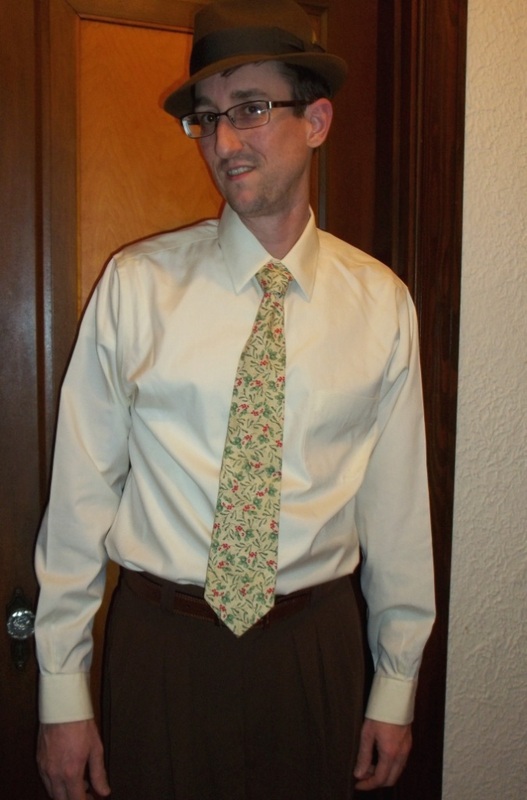 For example, one day my dad complimented him on the shirt (knowing if he’s wearing a new shirt I probably made it) yet he looked at it better saying “Wait, what…something’s going on…where are the buttons…how do you put it on?” It’s so good to catch people off guard in such a good way, getting them to see and think differently about men’s clothes, a thing often taken for granted when it comes to style or change. 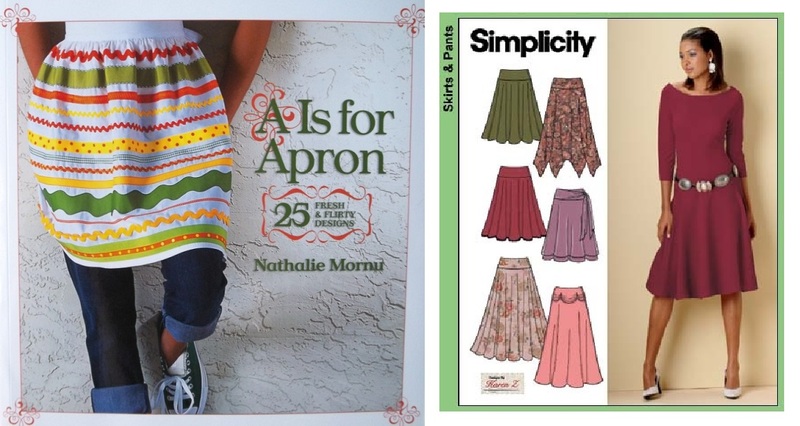 Do you have a favorite “out-of-the-box” garment you really enjoyed finding and/or making?